As like the last year, sectional timing is also there, and one needs to be prepared in such a way that, the aspirant can attend maximum number of questions. 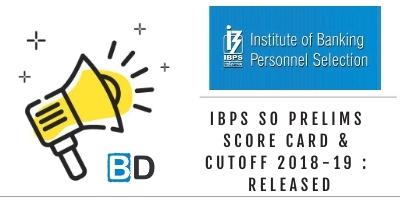 To enhance the preparation of the aspirants, we have already released the IBPS CLERK Mains Exam 2018 Current Affairs & Banking Awareness Capsule which covers CA & Banking News from June to December 2018. The other topics like Quantitative Aptitude, Reasoning Ability and English Language should also be prepared so that the score soars up. 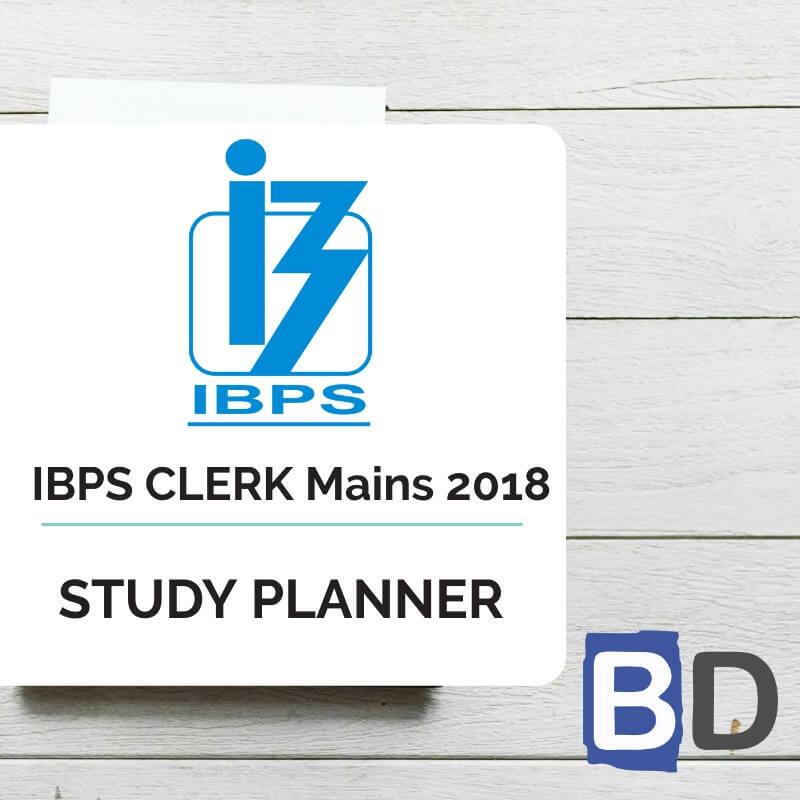 We have also included the New pattern Questions which have been asked in the recent exams like SBI Clerk, IBPS RRB Assistant and others. This will assist the aspirants in analysing the type of questions and to know the nuances of attending the Different type of questions. 1-5) Read the following information carefully and answers the given question below. 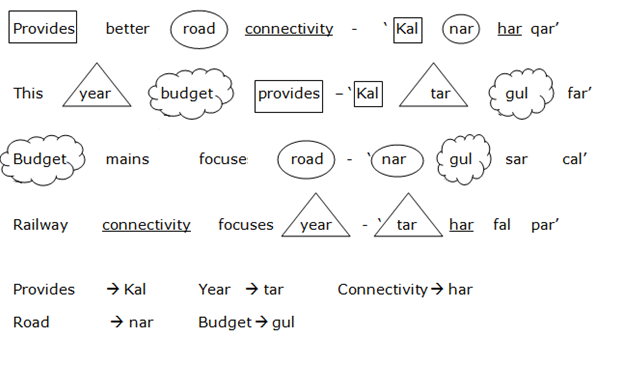 Q.1) What does the code ‘gul’ represents? Q.2) What is the code for the word ‘connectivity’? Q.3) What is the code for the word ‘focuses’? Q.4) What does the code ‘qar’ denotes? Q.5) What may the code ‘fal cal’ represents? Q.6) What is the code for ‘logic’ in this given code language? Q.7) What is the code for ‘needed’ in this given code language? Q.8) The code ‘xz mn uv’ may stands for which of the following words in this given code language? Q.9) What is the code stands for ‘most valuable’ in this given code language? Q.10) What is the code stands for ‘accept logic’ in this given code language? D.11-20) In each question below are given some statements followed by some conclusions. 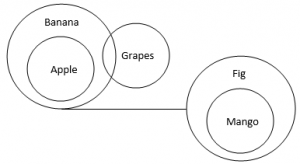 You have to take the given statements to be true even if they seem to be at variance with commonly known facts. Read all the conclusions and then decide which of the given conclusions logically follow from the given statements. No fig is a banana. No light is a fan. No wind is a storm. No table is a bench. No bench is a desk. No giraffe is a deer. No leopard is a cheetah. No Road is a Highway. 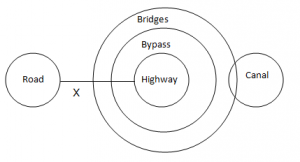 All Highways are Bye pass. All Bye pass are Bridges. No LED is a LCD. No LCD is a CRT. 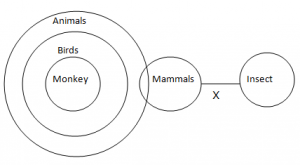 No Mammal is an insect.